In Australian media news this week, PR agency Webar Shandwick reveals new insights into the digital lives of journalists, Bauer Media announces the launch of a new fortnightly spin-off for TV Week and Belle editor-in-chief Neale Whitaker moves to Vogue Living. PR agency Weber Shandwick has released insights into the changing habits of journalists in a report titled ‘The Digital Life of Journalists in Asia Pacific’. Digital news consumption: 68% of journalists say they most commonly access their news online. Internet as a research tool: 36% go to online sources first to prepare stories. Branded content welcomed: 77% of news organisations publish branded content provided by a company at least some of the time. Print losing importance: Only 24% of journalists work exclusively on print. One third of respondents “never” read print newspapers. Sourcing and verifying: Insiders/contacts are the most popular verification tool (72%), followed by press releases (65%) and PR agencies (56%). Personal syndication: 79% said they always or sometimes use personal blogs or social media to share their stories. Trusted sources: Corporate spokespersons were the most trusted (63%), followed by corporate websites/blogs (52%) and in-house PR/marketing (50%). Corporate social media accounts were the most distrusted sources (53%). Weber Shandwick surveyed 339 journalists across 10 Asia Pacific markets (Australia, China, Hong Kong, India, Indonesia, Japan, Korea, the Philippines, Singapore and Thailand). The survey was conducted online from November 2013 to March 2014. Bauer Media has announced it will launch a new fortnightly magazine dedicated to television and its stars to complement its popular weekly TV Week. The TV Week team says it will produce the new magazine, TV Week Soap Extra, in response to extensive consumer research that found “a gap in the market for a contemporary, quality, professional and comprehensive magazine” covering television soaps and dramas. 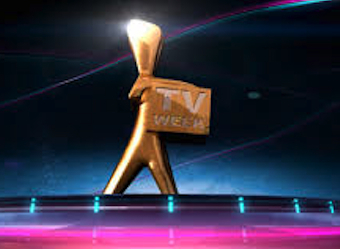 With a history of more than 55 years, the TV Week brand includes print and digital magazines, mobile and social engagement, websites and events such as the TV Week Logie Awards. The new TV Week Soap Extra would feature 68 pages packed with the hottest plot teasers and first-look information of some of the popular local and international shows on Australian television screens. The new magazine will also be incorporated into the TV Week website and its new mobile application. The first issue of TV Week Soap Extra will go on sale for $3.95 on Thursday, July 31. Belle magazine editor-in-chief Neale Whitaker will leave his post to join News Corp Australia as editor-in-chief of Vogue Living and design columnist for the company’s Sunday newspapers. NewsLifeMedia chief executive officer Nicole Sheffield announced that Whitaker would join News in December. Whitaker’s more than 20 years in interior design and food publishing have included editing Marieclaire Lifestyle, Vogue Entertaining + Travel and Delicious. He is also a judge on television series The Block. Bauer Media specialist division publisher Brendon Hill said the company would announce a replacement at Belle in the near future. “For the past eight years, Whitaker’s unwavering commitment towards his team and the Belle brand has seen the magazine increase to eight issues per year and record unprecedented circulation; growing by a resounding 55% over the past five years,” he said.